Fire up a full chimney of Original Kingsford® Charcoal, or light a pile of about 100 briquets. Configure the coals for a two-zone fire, placing the briquets on one half of the charcoal grate to create a hot zone for grilling and a cool zone for moving the burgers during flare-ups. Adjust the bottom grill vents for medium-high heat cooking, approximately 400–425°F. 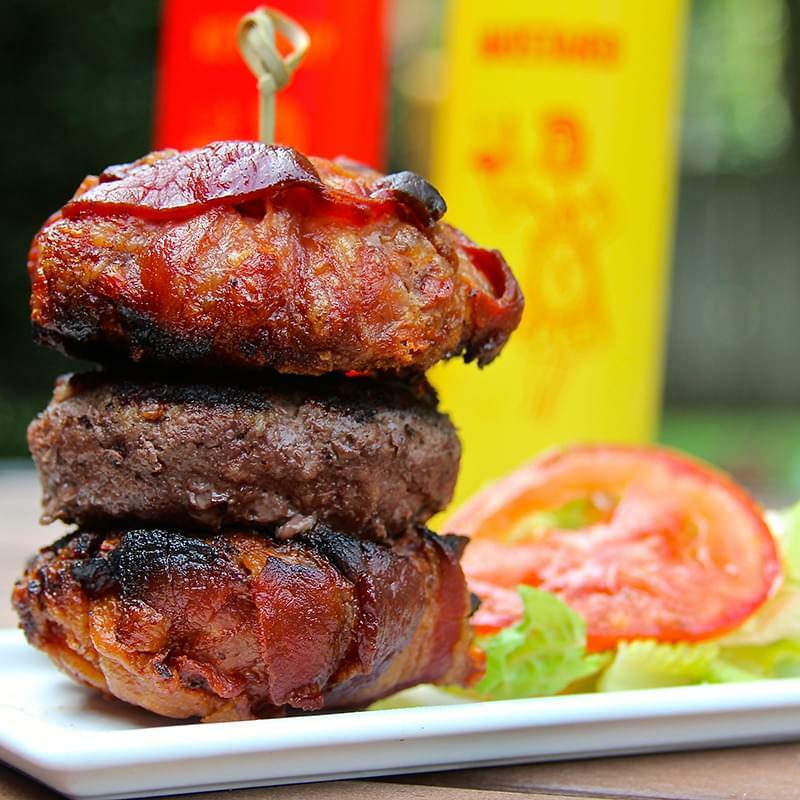 Using your hands, form each pound of bacon into a 4-inch wide disk to create the buns for two burgers. Place buns in a cake pan or baking dish and place on the cool side of the grill. Cover the grill and allow the buns to cook through and the exterior is crisp, approximately 30 minutes. Remove the bacon buns from the grill and discard the rendered fat or refrigerate for future use. Form ground beef into 2 patties and season liberally with kosher salt and ground black pepper. Place the burgers on the hot side of the grill and cook until they reach an internal temperature of 160°F. To assemble the burgers, place each patty on one bacon disk (i.e., the bottom of the bacon bun). Add condiments (optional) and top with the top of the bacon bun. Serve immediately. ©2019 Kingsford Products Company. All Rights Reserved.